Today I wanted to share with you a DIY project that I created for Homedit! Now last month, I created my first project for the site and talked about who they are / what they do. So if you want to learn more about them and want to see my first project for them (aka Pizza Slice Coasters), then I would definitely check out this post! 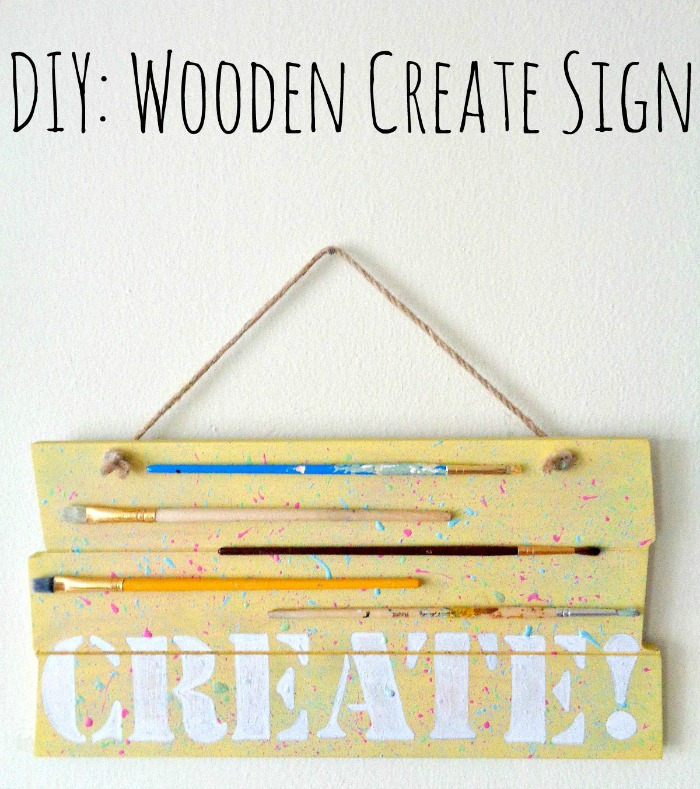 This month I contributed a fun home decor DIY on how to make a Wooden ''Create'' Sign! As you can tell in the above photo, the sign uses some recycled materials, which really cuts down on the cost of the whole project. Also to make this project easier to make, I did use a pre-made wooden sign as my base. So if you want to learn how to make your own Wooden Create Sign, you can check out the full tutorial here!